1:00 p.m. CST. 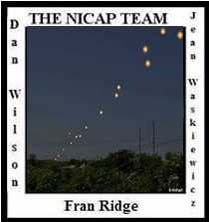 Twenty-thirty civilians observed an object like a flaming red cross moving slowly across the sky at approximately 5000 feet in altitude. The object was observed for about 30 minutes, then disappeared into a thunderhead cloud. The Project Blue Book evaluation of the sighting is listed as Insufficient Data.